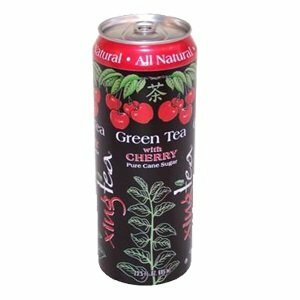 Enjoy xing tea cherry (12x23.5oz).Our newest flavor! distinctive bing cherry flavor mixed in with the finest brewed green tea. All-natural, preservative-free, sweetened with pure cane sugar and a kiss of honey. A cherry green tea to top all others (we made it that way).Note: description is informational only. Please refer to ingredients on the product before use. Please address any health or dietary questions to your health professional before using this item. If you have any questions about this product by Xing Tea Cherry (12x23.5Oz), contact us by completing and submitting the form below. If you are looking for a specif part number, please include it with your message.